Moroccan recipes and food are amazingly distinct, thanks to the country’s interaction with other cultures and nations, including Berber, Moorish, Arab and Mediterranean influences. Spices emphasize greatly in Moroccan recipes which is what gives each dish that unique and beautiful taste. 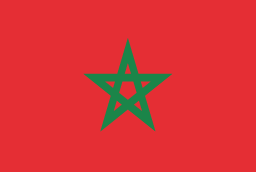 The most common spices in Moroccan food is Cumin, Cinnamon, Tumeric and Ginger to name a few. The Moroccan cauliflower roasted salad takes 20 minutes, offers zero food waste (leaves, stalk and heads) and a low-cost veggie dish. It's perfect for a summer BBQ recipe or vegetarian dinner centrepiece. Give it a try this weekend! You need to try my healthy lemon and parsley hummus. It is the perfect picnic, office snack and lunchtime treat. This hummus recipe is without tahini and it still tastes fantastic! Low cost, quick and simple recipe.